If you were in a small local business, you have to understand that the window is of opportunity is closing for local enterprises that do not have a website. Thanks to changes in technology, as well as consumer expectations, businesses without websites are left at a tremendously serious competitive disadvantage. It’s too easy to get left behind by your competitors that do have a website. It’s very easy to get left behind by your competitors that are more savvy with social media and SEO. If you can’t even step up to the plate by simply deciding to have a website, then you’re really leaving a lot of money on the table. What makes this really dangerous is that your window of opportunity of eventually reclaiming your proper place in the table and getting a hold of some of that money is quickly disappearing. Here are six reasons why you not only need to put up a website, but you need to invest in local SEO for your company. The big consumer behavior change of the decade is the transition from desktop-based internet consumption to almost completely mobile-based internet connection. Thanks to the invention of the iPhone, people now all over the world are increasingly connected to the internet on a 24/7 basis. If you have a mobile phone and you’re in the right area, you can easily access the internet by simply tapping on your phone. Pretty straightforward, very easy, and the connection is instant. As wireless carriers start adopting unlimited data plans and connection prices continue to fall, you can bet that the number of Americans, Western Europeans and other population bases constantly connected to the internet will skyrocket. You cannot allow yourself to miss out on this tremendous change in consumer behavior. You have to understand that consumer expectations tend to rock consumer behavior. Their expectations regarding businesses that they do business with will change in light of that data that they get from the internet. This data, of course, can easily reaccess through a few taps on their mobile phone. Since your customer base’s information consumption practices are changing rapidly, you need to keep up. And there is no better way to do that than through local SEO. Local SEO makes sure that your website is visible to your customer base the moment they use Google or any other search engine to look for the type of service or product your business offers. There are many local businesses that are local institutions. These businesses have been around forever. Everybody knows about them. Whole generations of customers have patronized them. It seems that they are a pillar of local society, and people know that these businesses offer a certain range of merchandize and services. Unfortunately, as powerful as these local brands may be currently, the fact that they’ve been around for a long time is no guarantee that they would be able to withstand the changes in consumer preferences. If you look at how consumers behave, they’re beginning to look at local businesses and local service providers as essentially faceless. And this shift to a commodity-based approach to finding local service providers spells bad news for your business. It doesn’t matter how many people know about you now. It doesn’t matter how respected your local brand is. If a local startup is a very savvy with the internet and knows how to work social media, whatever branding advantages your company has managed to achieve up to this point in time, is in danger. You need to push back. You need to make sure that your brand continues to be as relevant today and tomorrow as it was several decades ago. That’s not going to happen if local SEO is not in the mix. It’s very easy to think that once you have a website, that you have pretty much won the day because hey, let’s face it, your industry is so focused on face to face interactions and is local that it doesn’t really make sense for your competitors to go online. Well, you are more than welcome to think that but chances are you’re only fooling yourself. You have to understand that your competitors are not dumb. They know the handwriting on the wall. They are also paying attention to consumer trends, and like you, they are worried. Accordingly, a lot of them are already online or have plans to get online quickly. Simply hoping that your competitors are not going to go online is a sure recipe for disaster. This is why it’s crucial for your small business to adopt local SEO. Since your competitors are already online, this doesn’t have to automatically mean that they would outrank you on Google searches. Beat them to the punch. Make sure that your SEO is much better than them. Even if they were to adopt local SEO, this doesn’t necessarily mean that they have beaten you. That’s not a foregone conclusion. 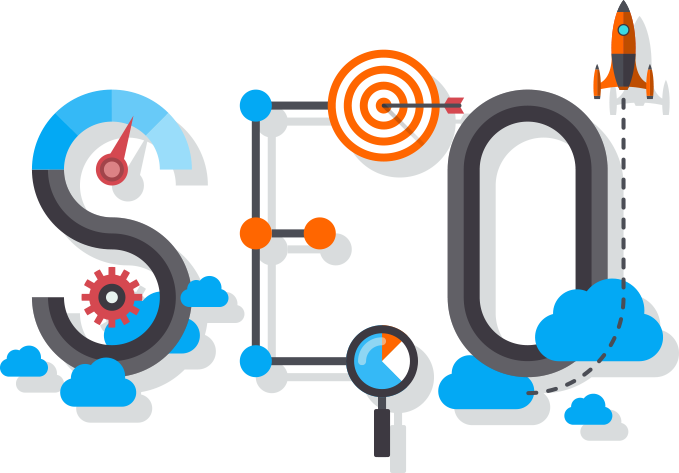 You can find a service provider that can beat the SEO of their service provider. Search visibility enables you to set the narrative of your local brand. You have to understand that thanks to the dawn of social media, people do spread negative feedback about brands all the time. From top brands like McDonald’s and Starbucks, to small mom-and-pop local brands, you can bet that people freely speak their minds regarding a bad experience or a bad opinion. Whatever the case may be, there are all sorts of trolling, misunderstandings, and bad reviews on the internet. If you don’t take advantage of local SEO to ensure that your website ranks well, you miss out on the visibility you need to set the narrative of your local brand. You’re not putting yourself in a position to effectively rebut whatever negative feedback people may have about your brand. This can be the kiss of death. You have to understand that the last thing that you want to see happen is for other people, who may not have your best interest at heart, to set your brand identity. That’s precisely what they’re doing when they post negative content online that can actually be found more easily than your official website. If you are serious about making the best use of the internet, as far as spreading the word about your local business, you should go all the way. This means you have to do social media marketing, content marketing, direct outreach, brand alliances, local SEO– the whole nine yards. By having a website that is very visible on search results, you can tie in all these different campaigns and initiatives to give your branding initiatives an online home. In other words, instead of barking at so many different trees and hoping for the best, you can put together a comprehensive and seamless online marketing strategy that builds up your brand equity faster and more effectively.